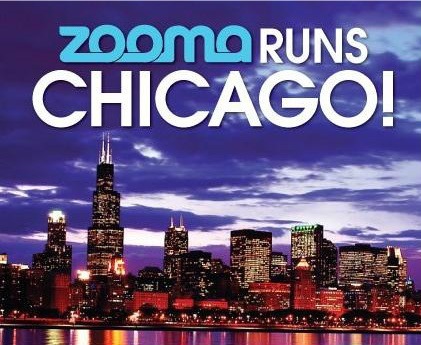 Zooma Chicago Ambassadorship & Discount Code!! I could spend a bit to time today bitching complaining about the weather but I think we all feel the same way. I’m cold. You’re cold. BRING ON SPRING!! Let the crocus bloom!! I had a very bitter start last night to my Jelly Bean Virtual Race Series as I was bundled up from head to toe and couldn’t help but reminisce about the start of last year’s series when I ran in a tank top. I know last year was unseasonably warm in March but I’m looking for a slight warm up! But that’s right, I’m not complaining so let’s move on to something fun!! 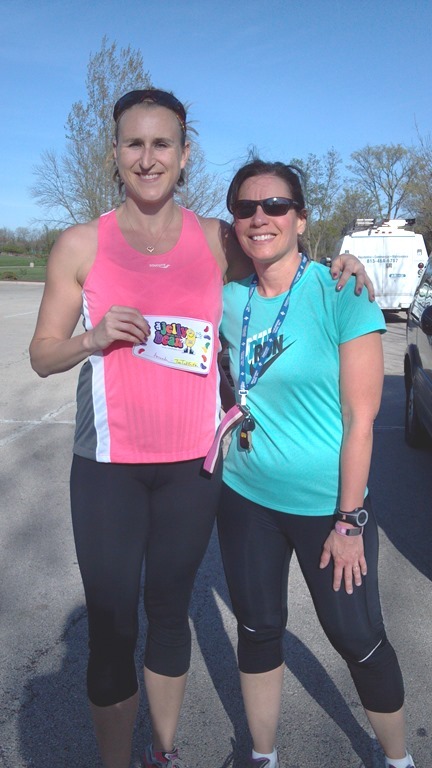 I was recently selected as an Ambassador for the Zooma Women’s Race Series event in Chicago! Last year the Midwest event was located in Wisconsin and I “may” or may not have been green with envy as all my friends traveled up north for the race. However, this year, they moved the Midwest event to Chicago so I’m IN!!! I get to race and I was lucky enough to be accepted as one of their 2013 ambassadors. Zooma is a ladies event and they offer a Half Marathon and 10K distance along the north shore of Chicago at Montrose Harbor. I always love running up at Montrose and I’m excited to go back for the Zooma Chicago race on August 10th!! Although I will, no doubt, be begging for the return of cold weather by August, I’m currently in love with the idea of basking in the sun with my friends at this amazing event. There are so many great offerings for Zooma that I’m going to bring the description directly from the website so that I don’t miss anything! I’ll be honest, this race isn’t cheap. It’s pricy. It’s women only. It’s the only race my friends and I signed up for the first day it was available. We are in. We were in before I was accepted as an ambassador. We are in for the fun, the friendship, the camaraderie, the necklace, the bubbly, the post-race massage. We are ALL in. We won’t be missing a thing. In fact, I “booked” my mom babysitter for the weekend over a month ago. I’m super excited!! The half marathon is currently $105 and the 10K is $75. You can register HERE. And if you want to get really crazy and take full advantage of this girls “fit weekend”, including the FRI night activities, then go ahead and book a room at the host hotel, Landgam Chicago. I’ll be there with my girls and we will be having a blast without our lil ones relaxing. If you are feeling lucky, Zooma is giving away an entire weekend package for two, plus many other goodies in the Zooma 2013 Run the CHI-TOWN Sweepstakes. Please enter HERE to win and tell all your girlfriends to do the same! Good luck to you!! Hope to see you at Montrose Harbor on August 10th! This entry was posted in Running and tagged chicago girls weekend, Chicago Half Marathon, girls fit weekend, Half Marathon, half marathon in chicago, Run Chicago Sweepstakes, Running, Start of Jelly Bean Virtual Race, Women's Half Marathon, Women's Only Running Race, Zooma Chicago, Zooma Chicago Discount Code, Zooma Chicago Promo code, Zooma Race Series by tootallfritz. Bookmark the permalink. Love it! I’m excited to be Ambassadors together! It’s going to be fun! I’m so happy they came to the city so that I can participate. Who knows where they will go next year so I wanted to make sure to run this year! Congrats, girl! That’s awesome! Sounds like a fun race. I am HATING this cold weather too. This time last year it was in the 70’s, and now it’s 30’s! Yuk. Congrats on being an ambassador! I had a great time at ZOOMA last year! Sounds like fun! Wish one was closer or that the Chicago one wasn’t so soon after my third is born. Maybe next year! Congratulations on being chosen as a race ambassador!